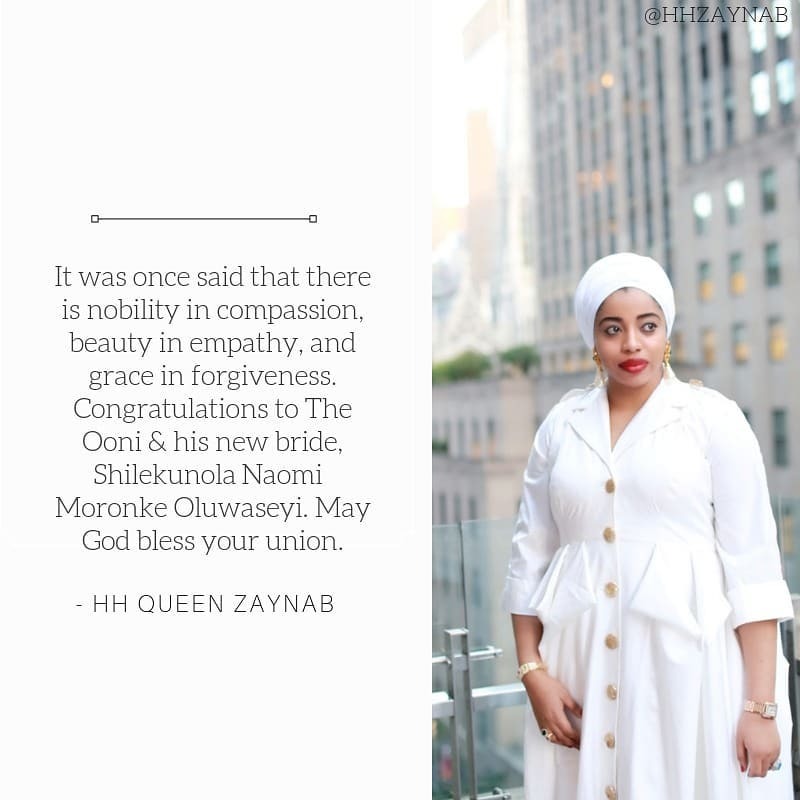 The Ooni of Ife’s ex-queen, Zaynab has sent a congratulatory message to her ex husband and the new queen, Shilekunola Naomi Moronke Oluwaseyi, who got married last week. The ex-queen, Zaynab took to her I.G page to congratulate the new queen and her husband, saying; she forgives him and congratulates him and his new queen, Naomi. “It was one said that there is nobolity in compassion, beauty in empathy, and grace in forgiveness. Congratulations to the Ooni & his new bride, Shilekunola Naomi Moronke Oluwaseyi. May God bless your Union”.